Spotted: Roberto Cavalli in a Canadian Tuxedo! Sean Penn isn’t the only star donning a Canadian Tuxedo at Cannes. 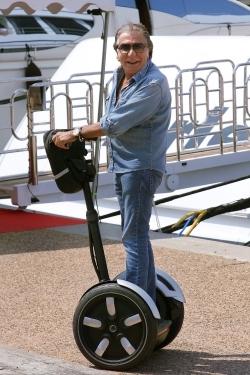 Fashion icon Roberto Cavalli was captured in denim on denim riding a Segway. This entry was posted on Monday, May 23rd, 2011 at 12:08 pm	and tagged with Canadian Tuxedo, Cannes, Denim, Fashion, Roberto Cavalli, Sean Penn and posted in Fashion, In The Wild. You can follow any responses to this entry through the RSS 2.0 feed.